The first of my two end of year countdowns, here are my top 40 favourite albums of 2014! A very strong year for albums overall, and far better than last year with the top two here actually being my favourite albums not just of 2014 but of the decade to date. Looking at the top ten, Clean Bandit and Katy B's albums proved once again why British dance music is completely on form right now while the latest albums from some of my favourite artists - Kylie, Shakira and Take That - were all as good as I could have hoped for. The latter especially adjusting well to the loss of Jason and departure once again of Robbie Williams. For a band that could have so easily slipped into cash-in covers albums at this point in their career, they're still producing top quality, contemporary pop. 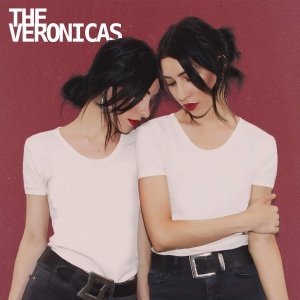 Australian twin sisters The Veronicas never fail to impress me and their eponymous third album continues that trend, taking the best bits of both of their previous albums and delivering another excellent LP. Taylor Swift continues to get better and better with each album and has now completed her transformation from country singer to global popstar with 1989, an album that sounds like it has as many potential hit singles on it as Katy Perry's monster 2010 album Teenage Dream. I loved Ed Sheeran's debut album + but many found it underwhelming and called it too safe and MOR considering the variation and quality of his many independently released EPs from the years before he became popular in the mainstream. x is in a completely different league altogether to +, Ed's craft has come on in leaps and bounds in the three years between albums and it's a stunning listen from start to finish. There's plenty to choose from for fans of MOR balladry but his unique edge still shines through in songs like The Man and Afire Love while the three singles have all been perfect choices, and all incredibly varied in style. Ed just seems to get better and better. Dutch country act The Common Linnets, who represented their country at Eurovision this year with the subtle ballad Calm After The Storm, delivered a brilliant debut album; my favourite country album since Carrie Underwood's 2005 debut Some Hearts. Packed with instant hooks, lush harmonies and care and raw emotion throughout, nearly all of the songs on here are so beautifully constructed that they already sound like timeless country classics. Australian band Sheppard's debut album Bombs Away is the most consistently strong album I've heard since Lady Gaga's 2009 project The Fame Monster. Every song on it is really fantastic. The four singles - Let Me Down Easy, Geronimo, Something's Missing and Smile - are all really different sounding but fundamentally pop-influenced tracks while some of the album tracks are even better; A Grade Playa is pop perfection while Lingering is a gorgeous ballad with lush harmonies. I saw the band live in Camden in August and it was easily the best gig I've seen in years, they have so much energy and passion for what they do and it's incredible how accomplished the show was for a band with just one album under their belt. Bombs Away is quite easily my favourite album of the decade so far and I couldn't recommend it any more highly, there's something on it for every pop fan.